The human life-form must procure food, clothing and shelter from his environment in order to survive physically; and the companionship of others of his kind in order to survive and thrive intellectually and emotionally. 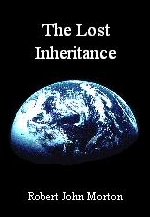 The ancient settler had direct unencumbered access to the biosphere of the Earth. That was the environment which he could freely use to transform his labour into his needs of life and within whose beautiful setting he could socialise and exchange with others of his kind. The only laws by which he was bound were the laws of nat­ure and of conscience. Somebody who owns such means wishes to employ him. In this case, his employer returns to him some of what his labour yields in order to allow him and his family to live. These conditions are not necessarily within his power to fulfil. It is only if the owner of those means wishes it, that the dispossessed individual is permitted access to the economic means of converting his labour into his needs of life. And the labourer is permitted to earn his needs of life only if the owner of those means wishes to em­ploy his labour. With the large and corporate able so effectively to block the lone individual's direct access to the free market, for most, only the second option really exists. Even so, employment is always a buyer's market. It is therefore always an unequal relation­ship into which the generic individual must enter. His security of tenure, his freedom of how and where he works, and the return on his labour are infinitely less favour­able than those offered by Mother Earth or even by the Free Market itself. The capitalist has possession not only of his own but also the labourer's rightful share of the planet's means of transforming human labour into human needs. And the laws of the capitalist State protect the capitalist's possession. If the labourer were to seize his portion he would be deemed a thief or a trespasser. Yet that same law places no obligation on the capitalist to recompense the labourer for denying him possession of what ought to be his rightful share of the planet's resources. It does not even oblige the capitalist to employ the labourer's labour upon them in return for his subsistence. The brainwashed subjects of a modern capitalist State are unable to see the moral reason why the capitalist should be so obliged. In a capitalist society, the morality of the individual's position as a mere economic resource, to be used and rejected at will, is rarely questioned. In reaction, trades unionists demand the 'right to work'. In one sense they can be accused of asking too much. They expect someone else to create, manage and sustain the means through which that work is provided. Unions strive to improve employee rights. What little they gain simply veils what was stolen from every working man in the first place; namely, fair access to the free market, and ultimately to the earth's resources as a direct means of turning his labour into his needs of life. In their arrogance, the masters regard the improving of employee rights as acts of benevolence on their part. In truth it is they who should be grateful for the amnesty of being able to return, without penalty, the first small part of what they stole. In fact, the unions are demanding far too little. Having been dispossessed of so much for so long, they have forgotten the grandeur of their natural birthright and are willing to settle merely for the right to live as kept slaves. The capitalist does not consider the notion that the lower the wage he pays his labourer, and the higher the prices he charges for his goods, the less of his goods the labourer can buy. He has neither the concern nor the intelligence to connect the two. After all, the vast majority of his customers are unlikely to be his employees. He seeks those customers (wherever they may be in the world) who will pay the highest price and those employees who will work for the least wages, thus fulfilling the primary goal of maximising his profit. For the most part this is very successful. Capitalists make a lot of profit. But what of the labourer? The capitalist's limited liability company totally decouples the labourer from the free market. What the labourer receives is therefore nothing to do with the price at which the fruits of his labour sell in the free market. It is determined solely by the availability of labour with the skills he is able to provide. If there are more labourers available than jobs for them to do (which there normally are), the labourer's wage always gravitates to the minimum necessary for him to survive and function accep­tably in the society within which he lives. The result is that when the market is booming, the capitalist's high profits do not filter down to the labourer as the capitalist doctrine known as trickle-down theory would have us believe. There is no motive force to make them do so. The mech­anisms of the limited liability company are specifically designed to prevent this from happening. Consequently, the dispossessed labourer does not have an inalienable share in the capitalist's success. He has no share at all.